Martha Mooney was trying her best to relax at home after a long day at work as an attorney, but she kept unconsciously scratching and clawing at her waist and legs. Finally, she realized what she was doing and looked down. Bug bites of various sizes and stages covered her thighs. She raised her shirt, and the results were the same: Big red welts dotted her waist and stomach area. Some of them were beginning to bleed from her scratching. Her husband, sitting across the living room, lifted his head above his newspaper. A security guard waved Crawley into the gated community where the Mooneys lived. He marveled at the big new houses, and many others still under construction. He recalled how just one year ago the whole area was nothing but woods. He knew the place was too fancy for him. He couldn’t even pay the insurance on these houses. The Mooneys’ house was at the edge of the subdivision, barely 100 feet from the tree line. Crawley pulled in the circular drive, gathered his things, and walked up some high steps to the front door. He thought it strange that the house was on a conventional foundation, instead of a slab. Crawley noticed several security cameras in the eaves of the front porch, and fought the urge to make a face or do a little dance to shock whomever was monitoring them. People this rich probably have a whole team of security officers watching the videos around the clock. He used the knocker on the massive oak door to announce his arrival instead of the doorbell. Presently, Thomas Mooney opened the door and waved him in. Even though Crawley had been to the house before, he was still in awe of how expensive everything looked. It seemed like he was led through three foyers and an equal number of what looked like dining rooms just to get to the living room. The furniture looked like it came from one of those high-falutin’ places, like Restoration Hardware. As he walked by one of the couches, he noticed a distinct and obvious leathery smell. Crawley had learned from being in rich peoples’ homes that real leather furniture smelled like real leather. Martha Mooney was there waiting for them, sitting on a big, poufy cushion on the wide fireplace hearth. “How you know it’s bugs?” he said flatly. Crawley nodded and began examining the room carefully, starting with the baseboards, looking for any sign of insect activity. Martha got up and followed him around, seemingly skeptical. “Maybe it’s fleas?” she suggested. Irritated, Martha plopped back down on her cushion on the hearth, and picked up a magazine. “Yes, what does that have to do with anything?” demanded Thomas. “Whatever you think you need to do,” Martha said, uncertainty in her voice. 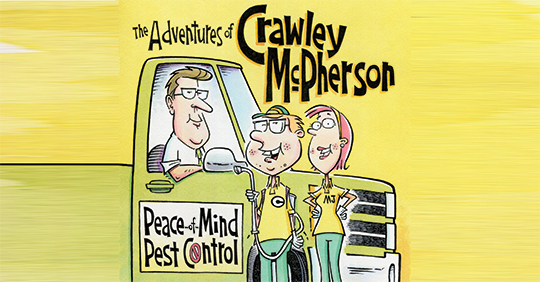 Two days later, Crawley spotted MJ in the break room at Peace-of-Mind Pest Services. He needed to speak to her about the mystery bugs at the Mooney residence. Despite Martha’s claim about bugs biting, Crawley’s inspection had turned up nothing. “Why?” Her face was filled with compassion. Total silence. He wouldn’t meet her eyes. No amount of sugar could calm Crawley’s nerves around MJ. After several awkward stops and starts, he managed to explain the mysterious bug infestation to her. He hoped she would be able to make sense of his bumbling conversation. To his surprise, MJ listened attentively. The following Wednesday, MJ was up early. She texted Crawley to wish him a happy day, just as she had done every day since their conversation the week before. This time, though, he didn’t respond. But this was sometimes the case with him. She didn’t mind — that was just the way he was. MJ arrived at the office by 7 a.m., trying to catch up on paperwork and make a few calls to customers lining up her stops for the day. 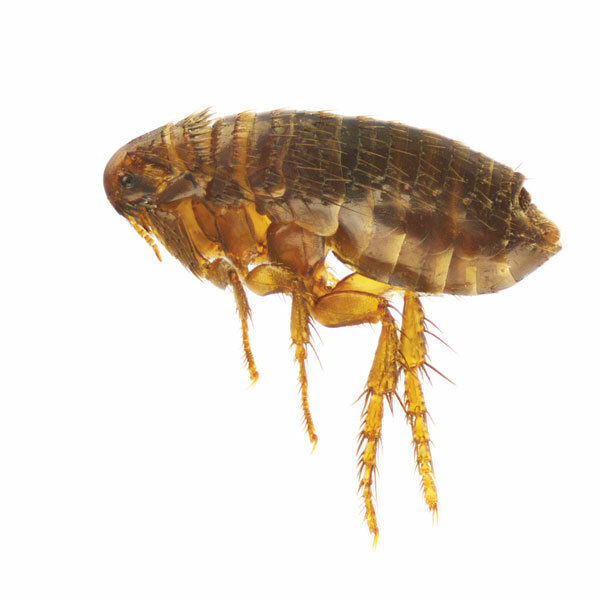 Quarterly perimeter treatments at residences didn’t require calling the customer first, but indoor pest service did, and MJ still retained a few of those accounts. “He hasn’t answered his calls?” And he didn’t respond to my text this morning, MJ added silently, becoming worried. MJ’s pulse quickened. That was where the Mooneys lived. She tried dialing Crawley’s number as she made her way through the parking lot toward her truck. When he failed to answer, MJ left a message for him to call her. Then she recalled him saying he might do some investigating at the Mooney home while they were on vacation. What if he were hurt or injured? When MJ drove up to the Mooney house, Crawley’s truck was nowhere in sight. Maybe he’s not here after all, she thought. She put the gearshift in park and hopped out to take a quick look anyway. MJ checked the front door. Surely, he wouldn’t try to go inside while the Mooneys were away. She found the house locked and silent, so she went around to the back. 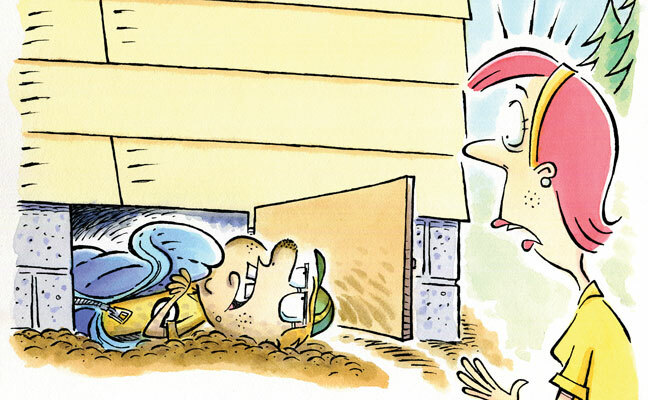 The opening to the crawlspace under the house was ajar — and there were signs of disturbed dirt at the opening. MJ leaned over, opened the door wide, and peered under the house. She spotted a snack cake wrapper just inside the opening. Crawley! MJ raised back up and looked around. Crawley had surely been under the house. But where was he now? His truck was gone. She quickly scanned the neighborhood and tree line behind the house. Then something caught her eye, far back in the woods. It was a spot of white. The more she examined it, the more the object began to look like the outline of a truck. Crawley’s truck. She turned back to the opening to the crawlspace, piecing together that he must have hidden his truck so he could investigate under the house the night before. Presently, Crawley emerged from under the house, dirt all over his clothes and in his hair. He dragged behind him what appeared to be an old, beat-up sleeping bag. When he stood up, it was easy for MJ to read embarrassment, almost guilt, all over him. He looked down and shrugged. “OK … so I did.” He fell silent for a full minute. Two weeks later, about 4 p.m., MJ saw Crawley eating a honey bun in the break room at the Peace-of-Mind headquarters. He looked somber, as if he’d lost his best friend. “Just sittin’ here.” He looked down. “We wanted to speak with you and your wife about our progress on your insect infestation,” MJ said. MJ was surprised at his blunt reply, and knew she needed to try to protect Crawley. He would take that as a personal failure. Crawley’s face twisted as if that was news to him. Thomas waved them in and escorted them to the living room. Martha was perched on her fireplace hearth cushion, opening a stack of mail. “Oh, hi,” she said, unenthusiastically. “Ms. Mooney, we just wanted to come update you and your husband about what all we’ve been doing about your insect problem while y’all were out of town.” MJ was doing her thing — trying to empathize with customer feelings — but truth be told, in this case she had no real news to report. She took a breath to continue, despite having no idea where the conversation was headed. Then she noticed Crawley staring hard at Martha, who was scratching again. Crawley eased over toward her, his eyes like huge ovals bouncing around behind his glasses. He reached out toward her — then touched the cushion she was sitting on. Martha shot up from the cushion like a rocket. “I beg your pardon!” she roared. Crawley leaned past her and stuck his head into the opening of the fireplace. He took out his handkerchief and spread it out in the opening of the fireplace. Then he slowly ran his hand along the inside of the fireplace itself. Presently, a huge grin spread across his face. MJ had seen that look before. He had solved the case! “Martha does sit there a lot,” Thomas said softly. “I told y’all we had some news about your insect infestation,” MJ said lightly.